South Walton’s westernmost beach community, Miramar Beach is located between Santa Rosa Beach and Destin. Home to one of the nation’s largest designer outlet centers & the popular Scenic 98, Miramar Beach real estate consists of a range gulf front homes & condos to beach cottages & golf course residences. Popular Miramar Beach neighborhoods include Sandestin Golf & Beach Resort, Tops’l Resort, Frangista Beach, Caribe and Emerald Bay to name a few. Don't take our word for it; see for yourself! The community of Miramar Beach is set along the wonderful Scenic Gulf Drive and Emerald Coast Parkway. The available Miramar Beach homes for sale all lie in the same serene and sunny Florida coast setting, but come in a whole range of differing styles. These include everything from single-level condominiums and beachfront cottages to multi-level townhomes and larger luxury custom estates. The architectural style mirror the changing estectic of the area as well with its mix of Mediterranean, cottage and ranch-themed inspirations. The Miramar Beach community is populated by a wonderful selection of colorful, locally owned shops and eclectic eateries. Of course, there are also plenty of deals to be found at the always popular Silver Sands Premium Outlet Mall, featuring nationally renowned retailers like Tommy Hilfiger, Nike, Ralph Lauren and Merrell. The marquee attraction of the communtiy is without a doubt the beach. Ideally situated between the Choctawhatchee Bay and the Gulf of Mexico, local residents always enjoy direct access to the shimmering Florida waters in every direction! 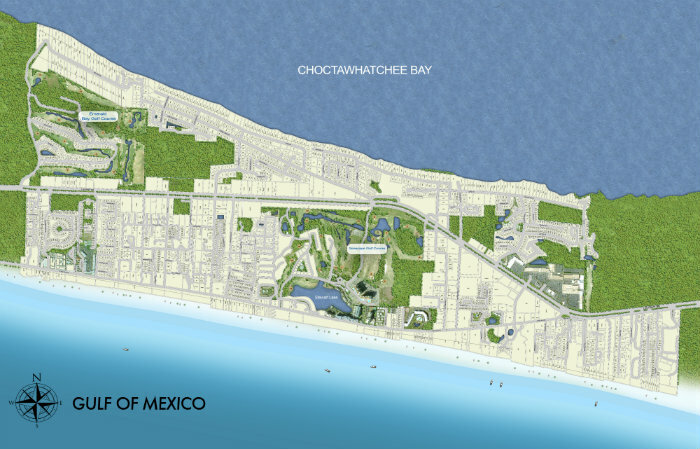 Would you like to learn more about Miramar Beach real estate? We encourage you to contact Brad Hilderbrand online or call 850-368-6660 to learn more about a specific property, or book a private viewing.